We all know our cats adore being outdoors. Unfortunately, roaming cats can have difficulties with cars, dogs, your neighbours — and sometimes even other cats! This is where the revolutionary technology of a Catmax Clearnet Enclosure steps in. 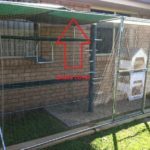 With the kitty-safe technology of our outdoor cat enclosures, you can simply and easily enclose an outdoor area, allowing your best feline friend to climb, leap, jump and explore the outdoors in purr-fect safety! Our cat netting is soft, safe and strong and can be easily customised. 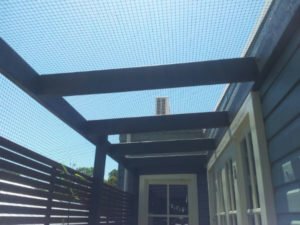 Some of the many ways cat owners can choose to have Clearnet installed include: side awnings, garden enclosures, veranda sections, catteries, and roof-top stretches. Clearnet is a revolutionary type of knotted pre-stretched, low-visibility cat enclosure netting. Because it’s pre-stretched, it doesn’t sag. And because it’s low-visibility, it won’t ever look unsightly! What’s more, we guarantee our installations for 10 years. 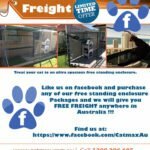 And, after years of research and liaison with top Veterinarians and breeders, Catmax Net Enclosures are now widely accepted by many as being a great safe haven for cats with an adventurous nature. One of our proud supporters is Veterinarian and Animal Behaviourist, Dr Cam Day who strongly supports our product because of its unique design and ability to be installed just about anywhere. Most netting, whether used in fishing, cricket or agriculture, is designed to stretch. This is great for catching fish or stopping cricket balls, but it can be a serious danger for a cat if used as an enclosure. They can easily become caught and entangled, creating a danger of injury. The other problem is that cat enclosure netting made of these materials will inevitably stretch and sag. On the other hand, Clearnet is pre-stretched to nine tonnes. We heat every roll of Clearnet to boiling point, setting it taut. We then stretch the entire woven net to ensure it’s uniformly tensioned. The tension pressure is set very precisely. This guarantees Clearnet attains its optimum attributes and is fit for the intended purpose — building quality cat enclosures. The unique nature of this process also allows us to reduce the dimension of the netting while maintaining its strength. It also allows us to guarantee every Clearnet enclosure for 10 years against stretch, sag and UV deterioration. This process is completely different from others who simply take their netting and stretch them and straighten the knots. This achieves nothing. When you see bulkier or thicker netting, you’ll notice that it’s twisted. The makers use the extra bulk and twist to gain strength within the matted surface. This is fine for fish or cricket balls, but it’s just not safe for your most precious animal companions. How a Clearnet enclosure helps you and your cat? Cats don’t always thrive when locked up indoors. Yet one-quarter of Australian households owns a cat. By creating an outside cat enclosure you encourage your cat to behave better, minimising spraying and damage to your furniture and house fixtures. Another important issues is the potential for environmental damage to native wildlife. 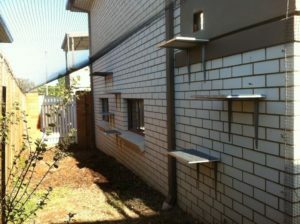 Many councils are creating cat-management processes. Some have even introduced compulsory curfews. And, apart from this, most cat owners are well aware of problems such as injury from traffic, theft and attacks as well as the scourge of feline AIDS. 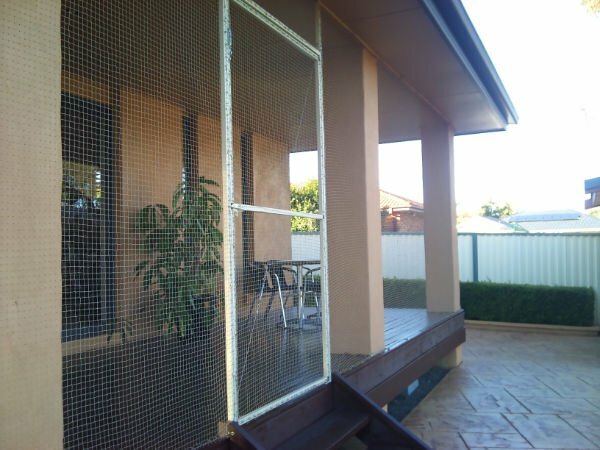 For all these reasons, our net enclosures gives an owner peace of mind, as well as the pleasure of seeing their cat able to enjoy the outdoors.